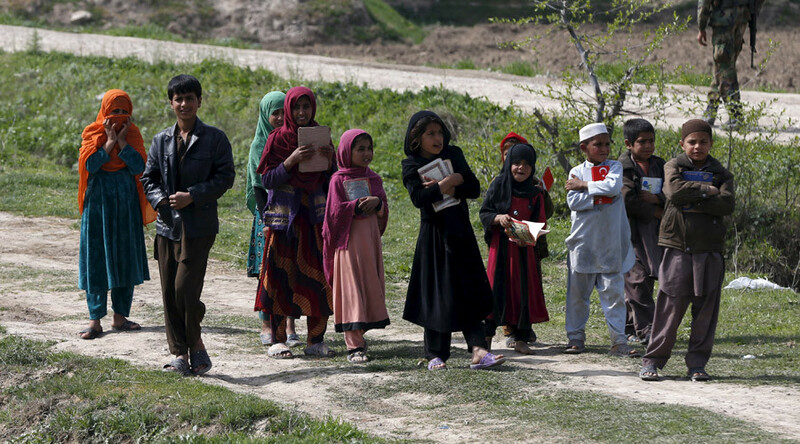 At least 161 children have been killed in Afghanistan since the beginning of 2016 in increased fighting between pro-government forces and the Taliban, the UN said. It’s a 29-percent of increase compared to the first three months of 2015. “In the first quarter of 2016, almost one third of civilian casualties were children,”said Danielle Bell, human rights director of the United Nations Assistance Mission In Afghanistan (UNAMA). The director added that the Mission has documented a 29-percent increase in child casualties compared to the same period in 2015. In the first quarter of 2016 UNAMA recorded 610 children casualties – 161 deaths and 449 injured. Ground engagements caused the highest number of child casualties, followed by unexploded ordinance and IEDs, according to UNAMA. The number of child deaths is much higher than the number of those for women, the organization said. A five-percent increase in women casualties in the first quarter of 2016 resulted in 195 women casualties – 52 deaths and 143 injured. “UNAMA notes with extreme concern that increased fighting in populated areas continues to kill and injure women and children at higher rates than the general population,” the mission said. Overall UNAMA documented 1,943 civilian casualties (600 deaths and 1,343 injured) between January 1 and March 31, 2016, a two-percent increase since the same period in 2015. In February, UNAMI released a report saying the number of civilians killed or injured in Afghanistan in 2015 was the highest in the last seven years. The total number of civilian casualties recorded in the last year was more than 11,000, including over 3,500 deaths and almost 7,500 injuries, according to the document.